Option: Large - Square - 26 in. x 26 in. | Medium - Square - 18 in. x 18 in. 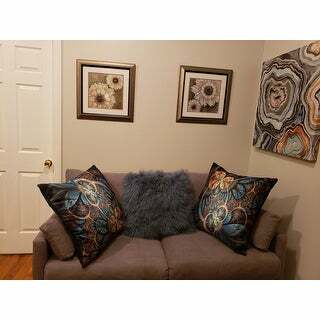 The pillows are cushy, soft, and the vivid colors give the a richness which is perfect to go with the living room furniture in our condo up north. I'm now going to purchase the accent pillows suggested by your site...thank you! Option: Medium - Square - 18 in. x 18 in. | Small - Square - 16 in. x 16 in. 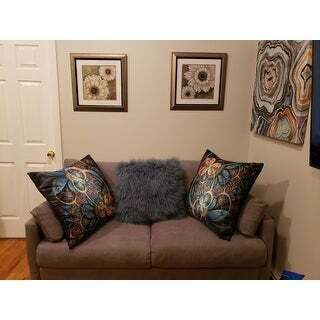 I ordered the wall art that matched the pillows. The wall art arrived 2 days before the pillows. The wall art was not what I ordered. I called customer service and after sending a email to prove they sent me the wrong one she finally agreed to send it back at no cost to me. I then proceeded to ask once the pillows arrive I would like to send them back since I don’t have the wall art to match them. She would not offer free shipping to return them. I was upset being this was not my error but overstock. I kept the pillows because I’m not paying shipping to return. They are very pretty color but not anywhere near the quality for the price I paid. Wish I hadn’t purchased. As you can see the first photo was the wall art sent and the third is what o was supposed to receive. Option: Large - Square - 26 in. x 26 in. I was expecting like a microsuede fabric but the pillows are more like a brushed microfiber feel. 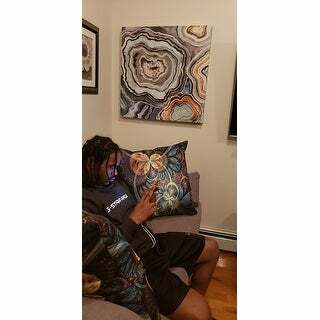 They look good and I like the bouncyness of the pillows. I wish I had gotten a smaller size because the ones I ordered were a little to big for my couch...but they still look and feel amazing! Option: Medium - Rectangle - 12 in. x 20 in. | Medium - Square - 18 in. x 18 in. This is a gorgeous pillow. Going to order more to match in several shapes. 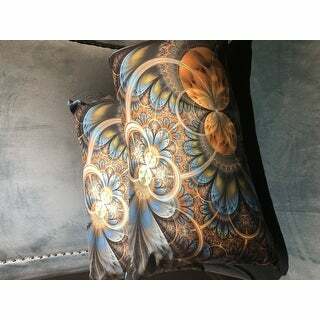 These pillows are beautiful! The pictures looked so striking I wasn't sure what to expect, but the colors truly are wonderful. The fabric feels so soft yet durable, I would definitely order these again. They look great on my leather sofa. 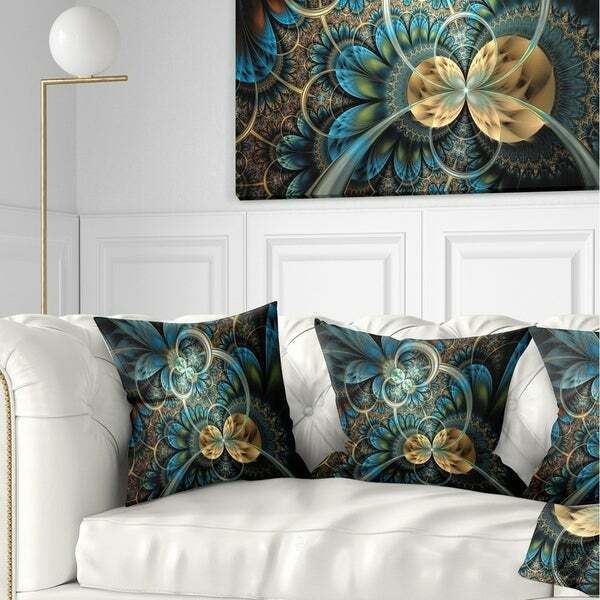 Absolutely beautiful and elegant... totally transformed my sitting room into a lovely show place...Very rich fabric...enjoy just walking by and glancing into the room. 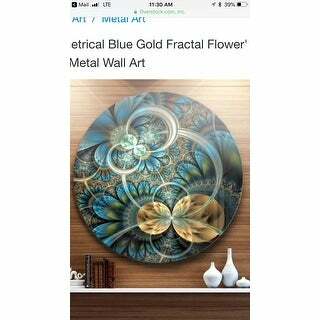 I bought the round metal art. These pillows highlight the picture. I love that they match. It’s great for my chic, bohemian style. Colors are rich and beautiful. Love the way it all looks. 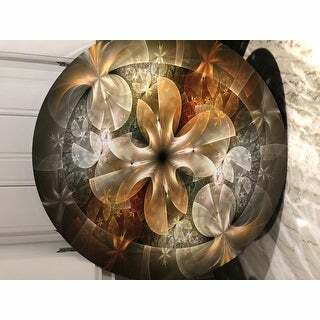 Option: Large - Round - 20 inches round | Medium - Rectangle - 12 in. x 20 in. | Medium - Square - 18 in. x 18 in. We are enjoying tapestry, actually we had it framed and now it hangs in our family room. We highly recommend overstock.com. Option: Medium - Square - 18 in. x 18 in. | Small - Round - 16 inches round | Small - Square - 16 in. x 16 in. "are there curtains in this print? "